For those with diabetes, the term glycemic index is nothing new. But the exact definition of the index and understanding how it works can get a little trickier. Blood sugar control is the cornerstone of diabetes management. High or extreme fluctuations in a person’s blood sugar are responsible for most diabetes symptoms, as well as long-term impacts of the disease including kidney and cardiovascular disease, and neuropathy. In addition, high and spiking blood sugar levels can cause insulin to skyrocket. Maintaining steady and as close to normal blood sugar and insulin levels as possible can help prevent many of the issues faced by those with diabetes. An effective way to control blood sugar levels—both for people with diabetes and those without—is diet. What we eat has the greatest impact on blood sugar levels, so understanding how different foods affect sugar levels is invaluable. The glycemic index (GI) is a tool used to measure or keep track of sugar intake and the way it affects blood sugar levels. Specifically, the GI indicates how much an individual’s blood sugar increases after eating a food that contains 50 grams of carbohydrates. High-GI foods raise blood sugar the most, while low-GI foods raise it the least. The GI ranks foods on a scale from one to 100; the higher the GI, the faster and farther blood sugar levels increase after eating the food. It’s not always necessary to eat 50 grams of carbohydrates. That amount is used simply to provide a standard measurement so all foods can be compared to each other. Foods with a GI of 55 or lower are referred to as low-GI foods. 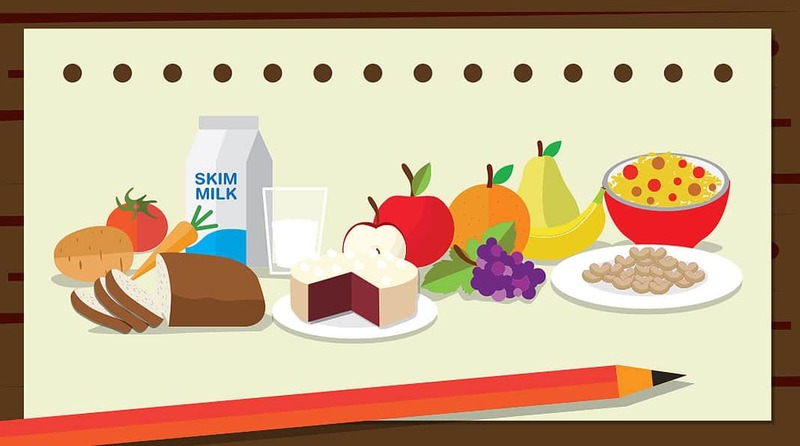 They include many fruits, vegetables, whole grains, regular oatmeal, beans, nuts, and dairy items. Foods with a GI between 56 and 75 are referred to as having a moderate GI and include pasta, corn, and white flour products. High-GI foods have a GI greater than 76 and include foods with highly processed grains such as cookies, instant oatmeal, and cornflakes, as well as candy. Though not always the case, the more processed a whole grain food is, the higher the GI. According to Brigham & Women’s Hospital, processing breaks food down into a more refined, and therefore less whole, the grain is. We digest refined grains much quicker than whole ones, so blood sugar is impacted sooner compared to the slow and steady digestion of less processed grains. In a recent study, people following a diet made up of about 60 percent carbohydrates (which is common in the American diet) who chose low GI foods versus high GI foods lowered their insulin sensitivity. Choosing foods with a low GI can also aid weight control, and controlling and losing weight is another way to manage blood sugar levels and diabetes. Multiple studies have shown a diet focused on low-GI food will lead to greater satiety and fewer calories consumed over the course of the day. The Glycemic Index chart is pretty basic, but not always easy to read. It lists an assortment of foods alphabetically by food type. It also includes some fairly uncommon foods. To make it easier we’ve included everyday foods listed in order of increasing GI levels. If you would like to see the complete table with thousands of foods, check this list as well as this one. In addition to how processed a food is, there are other factors that influence GI ranking. Foods containing fat, protein, or acid will have a lower GI than similar foods without them. For example, premium ice cream has a higher fat content than regular ice cream and therefore has a lower GI. Also, though not featured in the chart, plain M&Ms would have a higher GI than the peanut version. This is because the peanuts contribute a little of both fat and protein, which help lower the GI. A higher soluble fiber content usually reduces the GI. Soluble fiber is found in fruits, beans, and oats. While the GI chart may seem pretty straightforward with clear-cut ranges for high, low, and everything in between, it’s important to keep a few things in mind when using the GI to create a balanced eating plan. Food preparation and portion size play an important role. A small portion of a food with a high GI may have less impact on blood sugar than a larger portion of a lower GI food. Also, adding a protein- or fat-containing food, both of which are digested slowly, will help lower the GI of a food. So, adding a slice of cheese or some natural peanut butter to a slice of bread will lower the GI of the bread. Also, the length of time a food is cooked may alter the GI because it may cause the glucose, or sugar, in the food to be more easily available to the body (similar to the effect processing has). Pasta cooked for a long time—say 20 minutes—will have a higher GI than pasta cooked al dente, about 7 to 10 minutes. Using the GI to create a personalized eating plan isn’t rocket science, but it may take some time to learn how to make it work best for you. As with any healthy eating plan, creating a GI-based diet may take some getting used to. Even with the index, consider this: A basic healthy diet is created from a variety of whole foods chosen from all the food groups and spread out over the course of the day. Thank you for a very easy to understand GI chart. I was very mistaken on on a few foods GI levels. Most of my family has blood sugar issues and a few with diabetes. I will share this with the family and friends. Thank you for sharing, Nick!